It would be interesting to see a CRT swap for a longer persistence phosphor. Vectrex has a pretty slow slew rate – I think because they used cheaper drive circuitry for standard TV deflection coils. I have one of these. I think it’s just TTL ‘Hercules’-style video. Wide screen for a word processor, not that good an idea. I have a videowriter, same setup. Amber half-height crt, z80 cpu, printer on top. 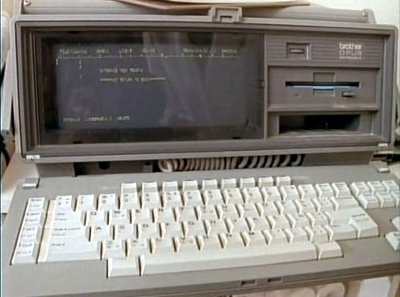 Someday I’m going to attempt rewriting the ROM to make it a real computer – cp/m maybe? That would only work for early digital scopes as the analog ones relies on being able to control the beam accurately and very quickly i.e. very linear and high bandwidth. And only the ones that were fully digital at that. Some DSOs were CROs with sampling tacked on and relied on being able to drive the CRT in vector mode. When you tire of the few Vectrex games, you can convert it to an XY monitor and play all of the Atari vector games via MAME. As someone that have fixade a friends broken Vectrex: The service manual schematics thats available isnt correct with what you find on the board, and if it says +9V it might as well be +13V, and there will be components missing or replaced with other values or models.